The annual value of EU agri-food exports in 2016 reached a new record level of EUR 130.7 billion, which is 1.3% higher than in 2015. The EU agri-food trade surplus in 2016 increased to EUR 18.8 billion, up from EUR 15.3 billion in 2015. The agri-food sector represents 7.5% of total EU exports in goods in 2016 and 6.6% of all imported goods are agri-food. With its surplus of EUR 18.8 billion the agri-food sector is a major contributor to the overall surplus of the European Union in merchandise trade, which stands at EUR 39.3 billion in 2016. 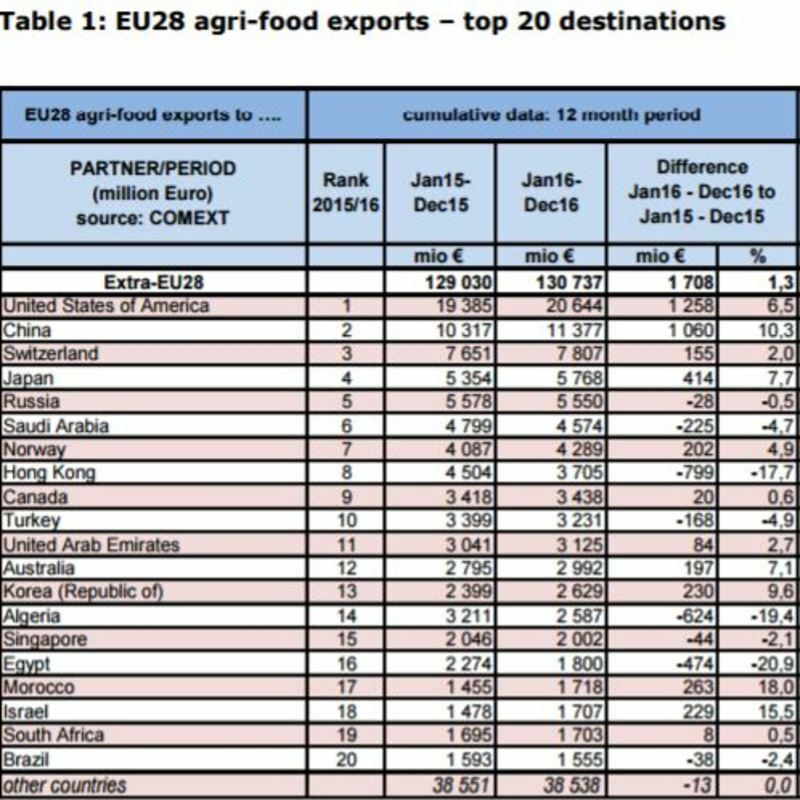 The USA is the number one destination for EU agri food exports exports, with China, Switzerland, Japan and Russia in the top 5. Ireland exported over 32,000 tonnes of butter and 49,000 tonnes of cheese outside the EU in 2016. The US is the main market for Irish butter outside the EU with Egypt, Morocco and Turkey also prominent markets. For cheese exports, Saudi Arabia, the US, Algeria, Egypt and Japan were our main markets outside the EU in 2016. 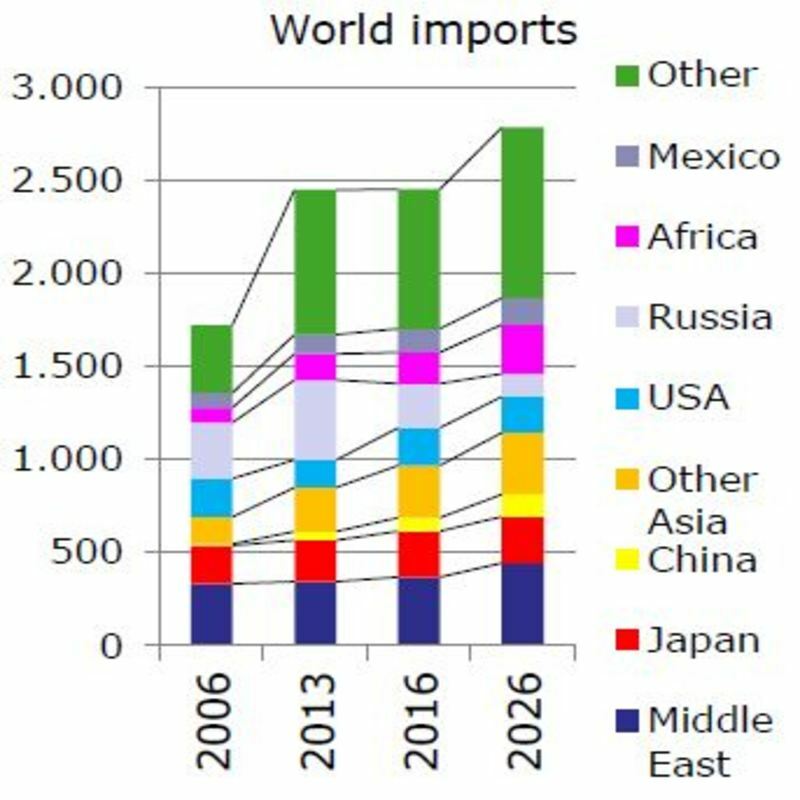 Over the medium term (2016 to 2026), China will remain globally the number one destination for EU dairy products but Africa is growing in importance for European exporters with population and income growth the key drivers.